There are different types of clay, usually recognized by their colour (green, white, red, yellow and pink). Each one has a number of benefits that make them an excellent treatment for skin and hair. They are detoxifying, regenerating and healing due to one of its main components: the silica. Thanks to the high content of trace elements, they are very mineralizing. But you know how to use it and what the difference is between them? How does the clay mask work? First of all, let's clarify what exactly a mask is and how it works on our skin and hair. Clay is a very complex mineral such as silicon, magnesium, zinc, calcium, copper and selenium compound. Choosing the right clay for your skin type is essential, as the clay will absorb excess sebum and impurities in oily skin, and provide more moisture and natural balance to dry skin. Preparing the clay is very simple. Mix a tablespoon of clay with three tablespoons of water to form a smooth paste. You can add a few drops of oil such as rose, olive or tea tree oil to enhance its effects. 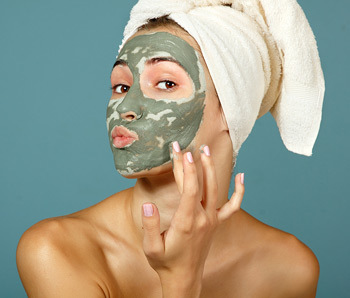 It is important to let the mask work well into the skin (approximately 10-15 min) so that their properties are absorbed into the skin, but do not let it dry completely, since not only does it absorb excess sebum, but it also absorbs the water content of skin tissues (a valuable source of hydration). Once it starts to dry, remove it quickly using warm water! Never incorporate ingredients containing vitamin C into the mixture. Vitamin C is a compound, that when in contact with the clay, creates a chemical oxidation reaction, promoting the production of free radicals. It is far better to add oils such as tea tree oil to disinfect or olive, jojoba or almond oil to nourish. It is important to note that the tools used to prepare the mask should never contain metal since that would reduce the benefits of the clay. We suggest that the tools used contain materials such as glass, wood, porcelain or clay. In addition, the water used to mix the clay should be free of chlorine, to further accentuate their properties. 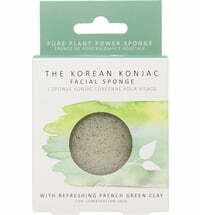 Of course, you could mix the clay with an infusion of green tea that helps eliminate toxins from the skin and have antibacterial and healing properties. The clay, as already previously mentioned, may be mixed with essential oil instead of water. A mask in combination with aromatherapy, provide benefits not only to the skin but also to the senses. The white clay or kaolinite contains a high percentage of silica and alumina and is considered higher purity, soliendose used in facial treatments removes toxins and dead skin cells, helping to regenerate the skin, preventing aging and improving the skin's texture and elasticity. It is ideal for all skin types (even sensitive). Green clay is highly antiseptic. Particularly appreciated not only for its minerals but also for its power of absorption and its anti-inflammatory, detoxifying and balancing properties. It is ideal for oily skin that is prone to acne, black spots or dilation. The red clay is most often used to treat the body and hair. It purifies the scalp and helps with circulation problems, cellulite and fluid retention due to its high content of iron oxide. It stimulates the regeneration process of the skin. The yellow clay is rich in magnesium and iron. It is used as a stimulating and refreshing treatment. Yellow clay oxygenates the skin thanks to its high water content. It is ideal for dry skin. 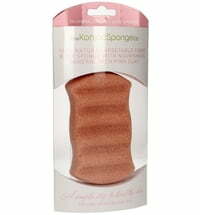 Pink clay is rich in minerals, silica and iron oxide. This clay is a mixture of red clay and white clay. It is often used as a facial mask for its purifying, antioxidant, decongestant, soothing and regenerating effects. It is ideal for sensitive and dehydrated skin due to its softness and its properties to repair connective tissue. 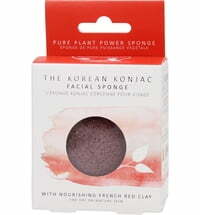 At Ecco Verde you will find organic clay masks, by brands such as Kart. 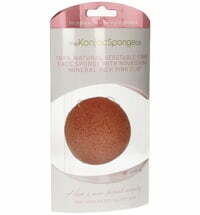 In addition, we offer clay sponges, by the brand The Konjac Sponge Company. You are more than welcome to take a look at our products! Optimal winter care for your hair Dazzling Christmas Makeup!